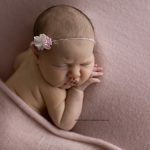 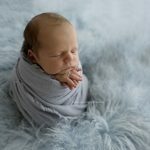 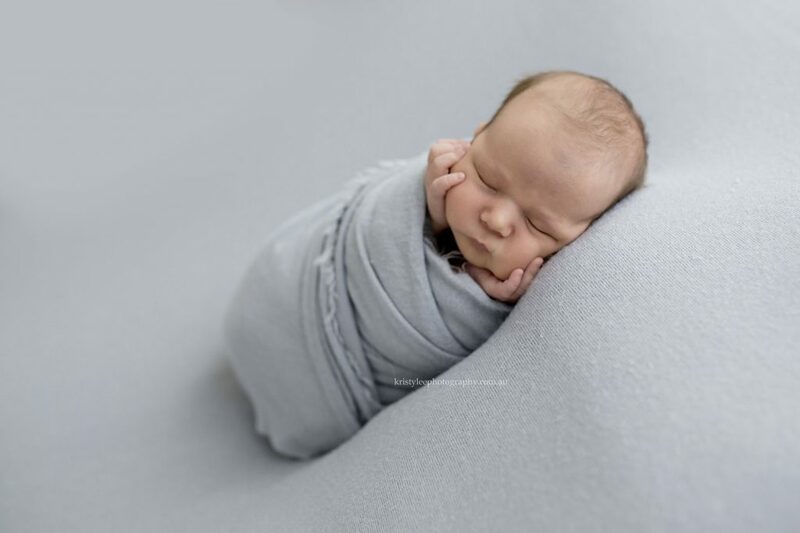 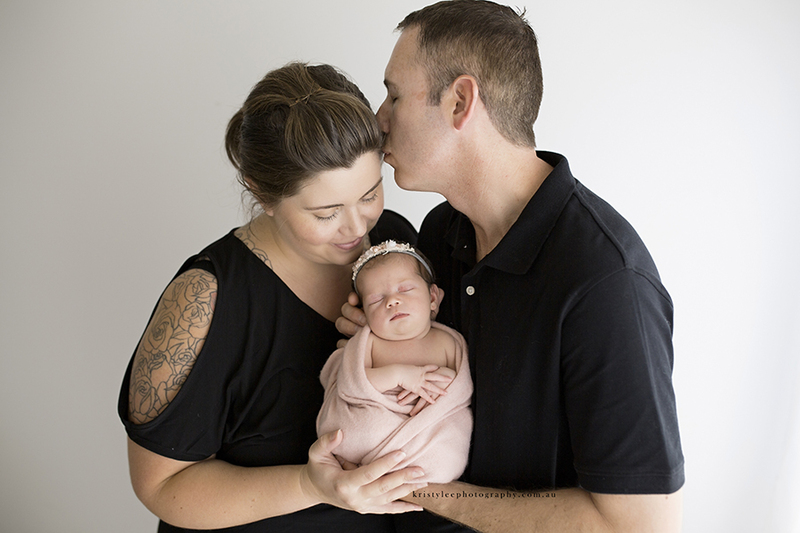 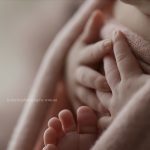 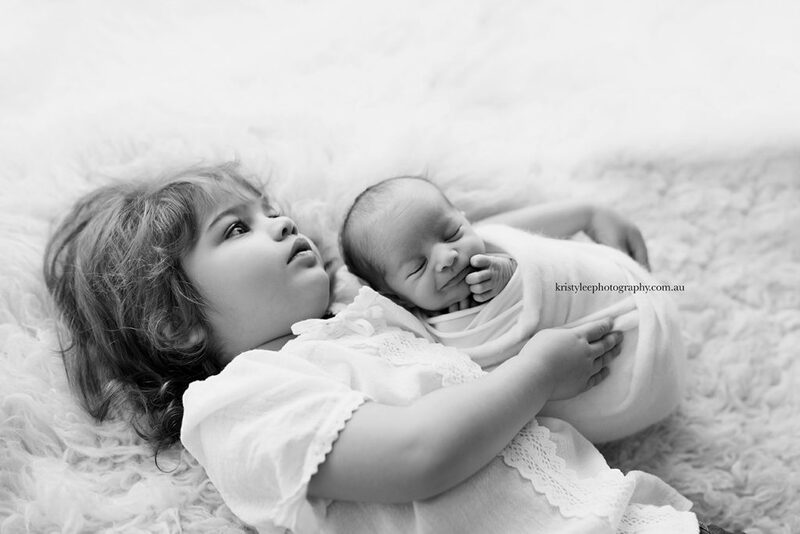 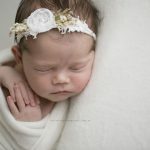 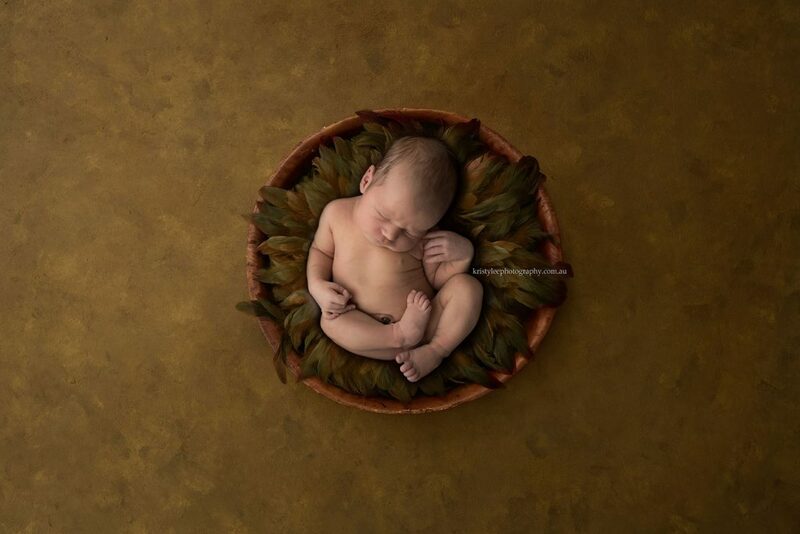 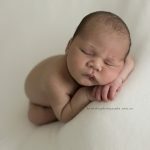 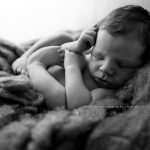 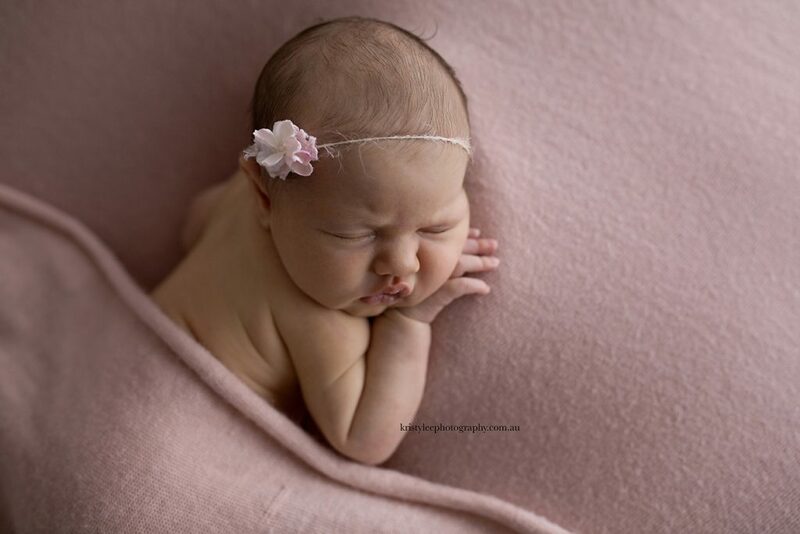 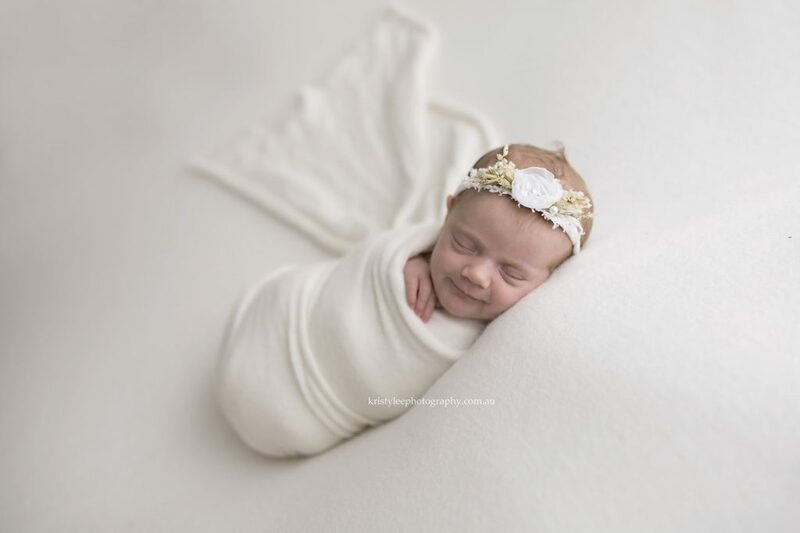 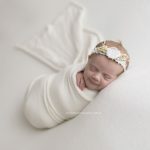 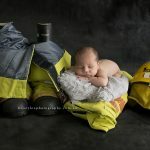 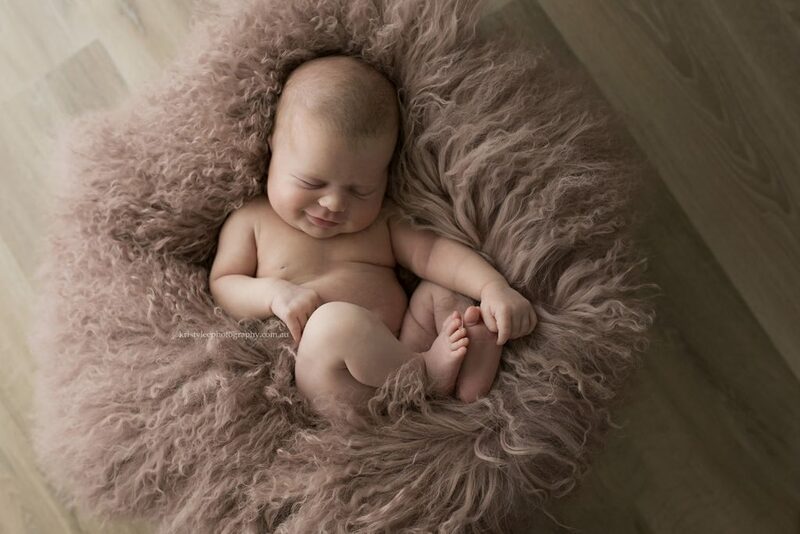 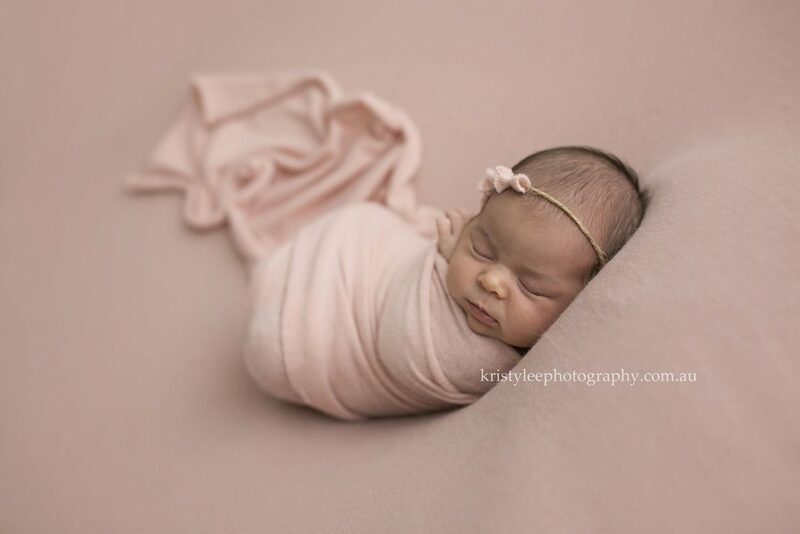 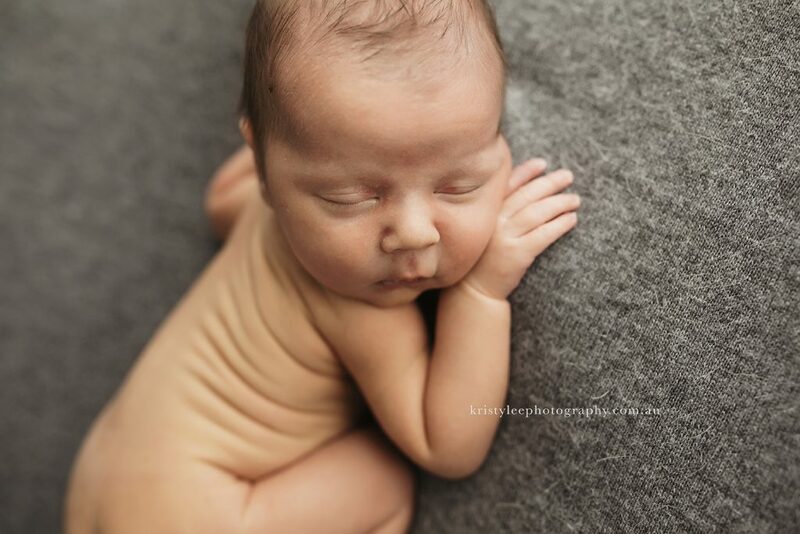 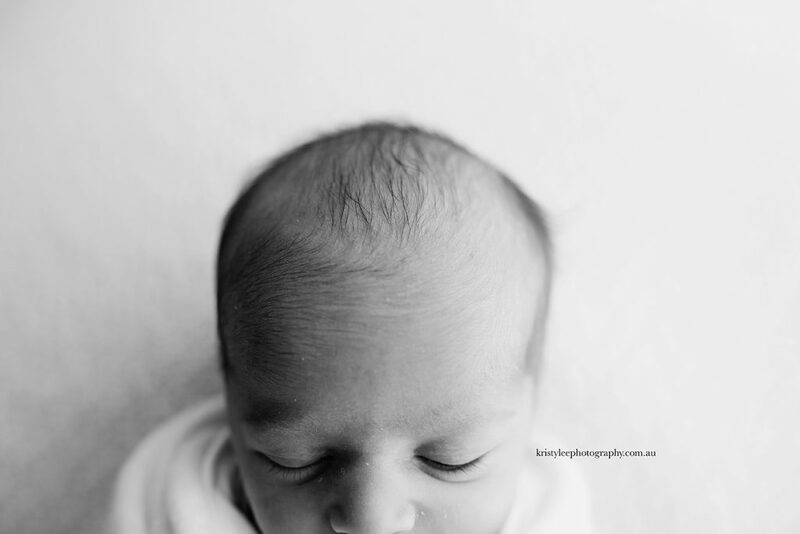 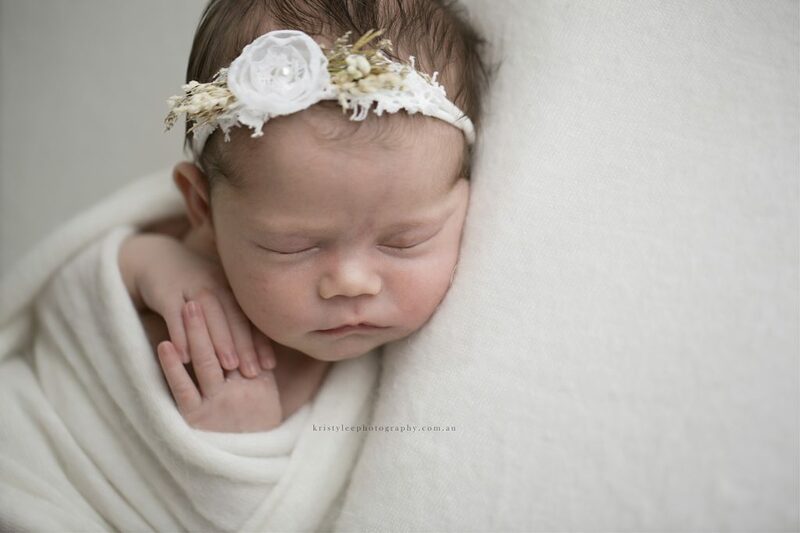 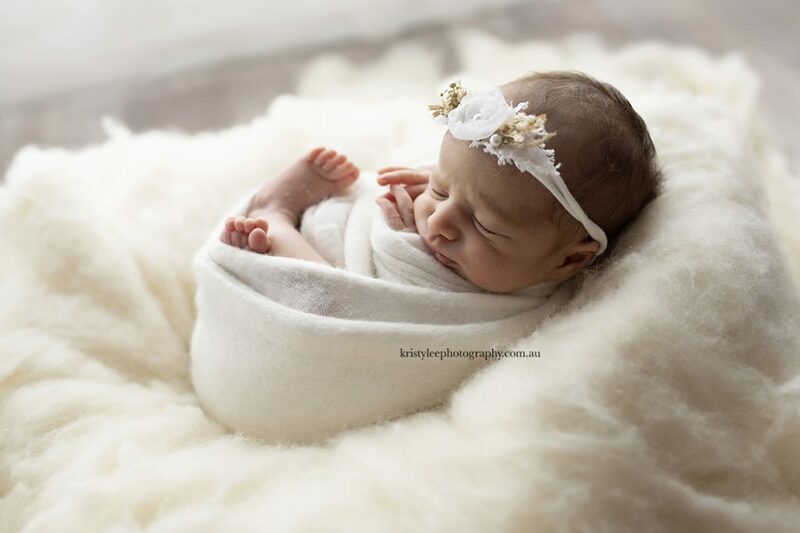 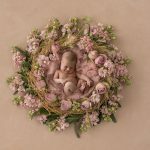 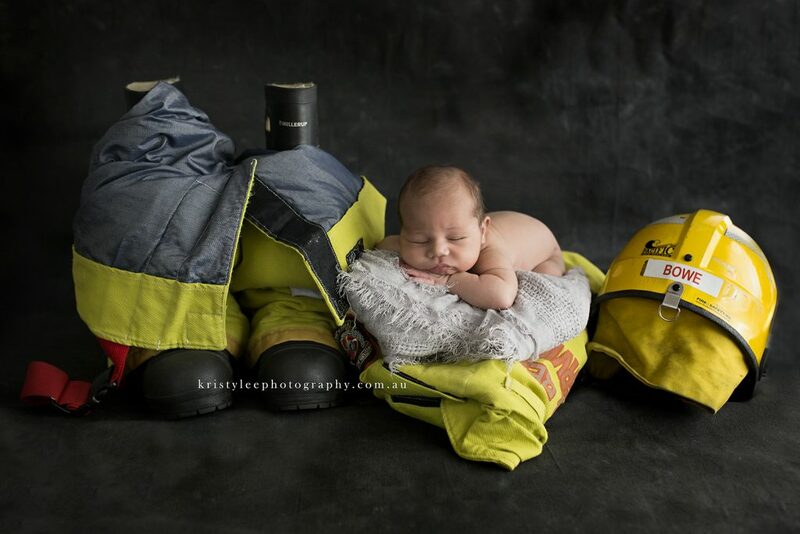 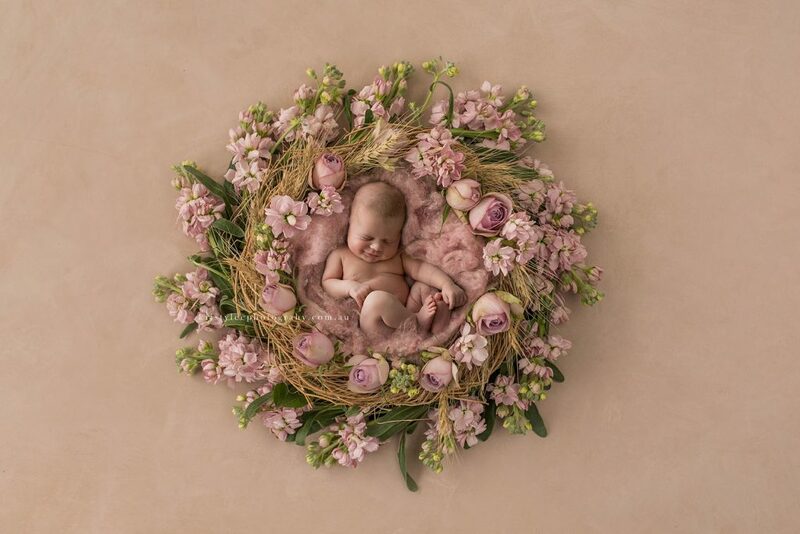 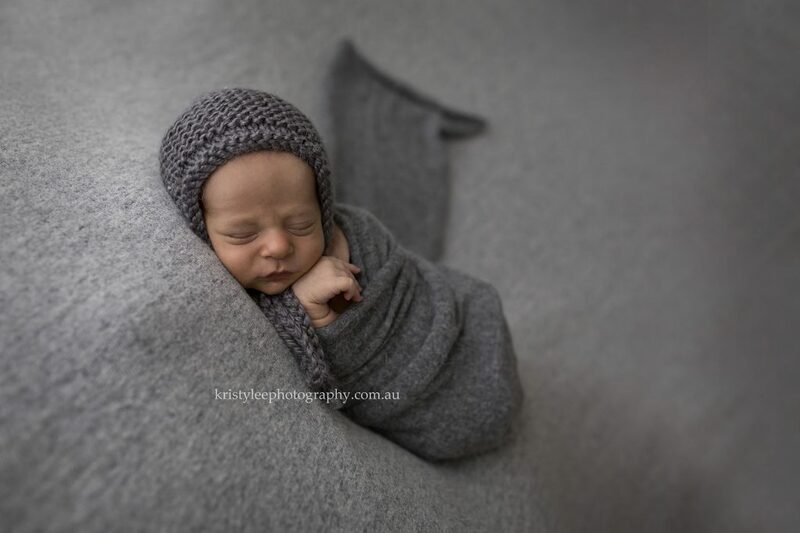 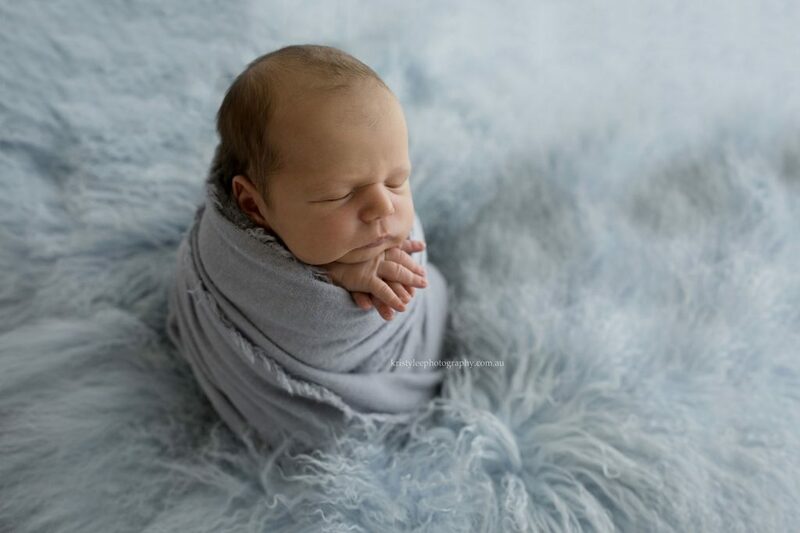 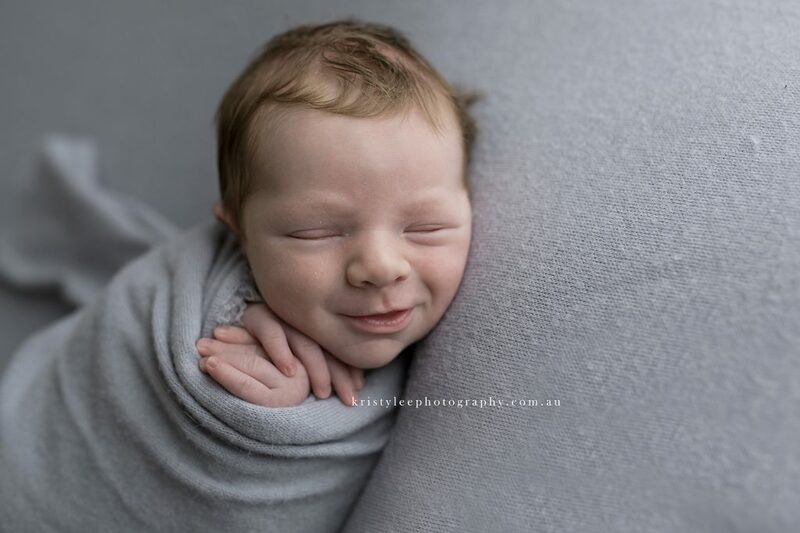 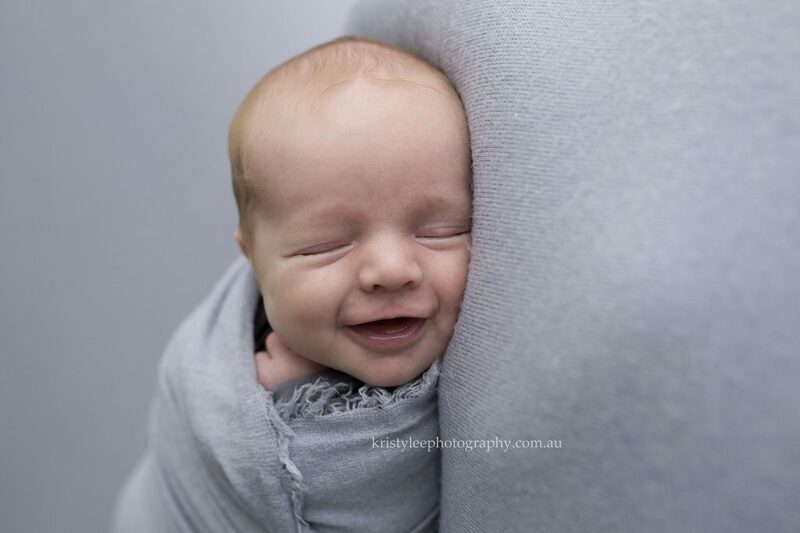 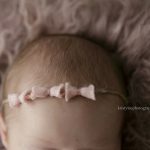 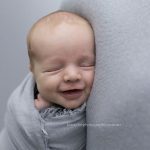 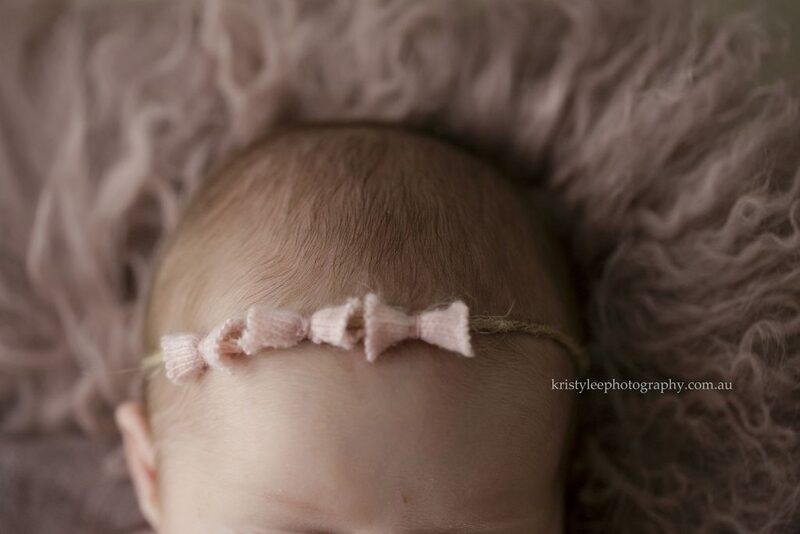 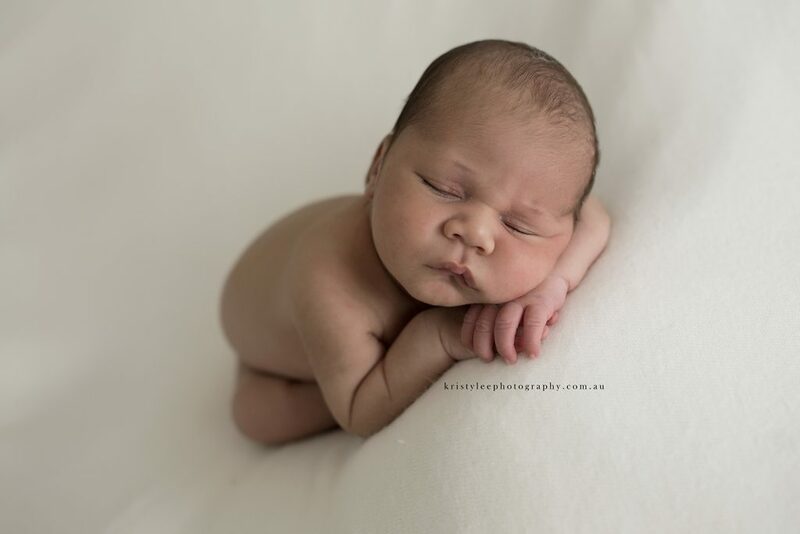 Newborn photography sessions are done at Kristy’s boutique studio generally within the first 14 days of life. 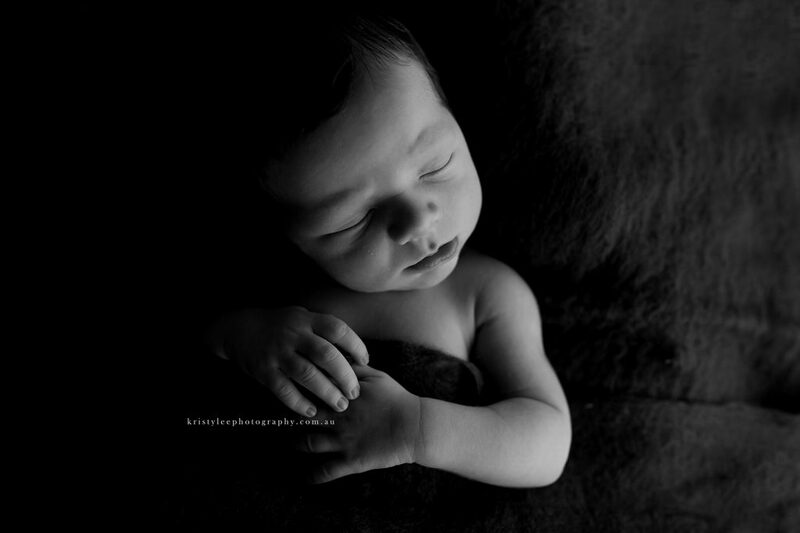 During this early stage of life, babies usually sleep more and more easily posed. 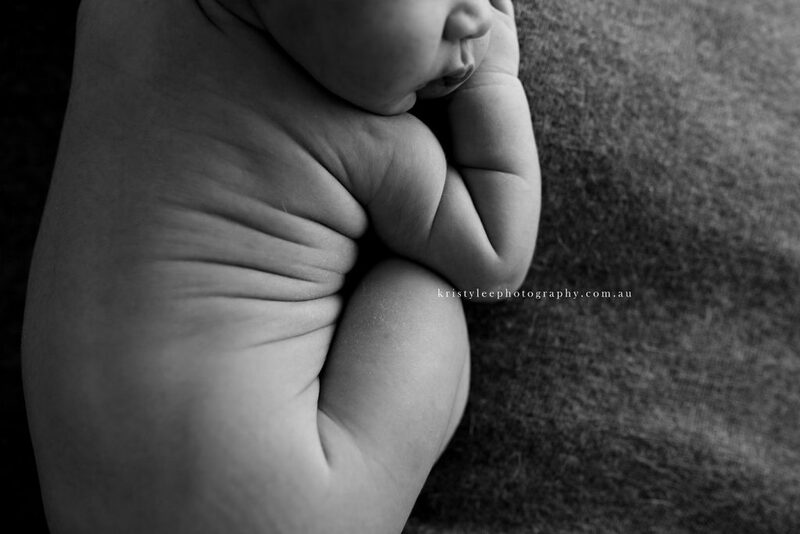 As they get older, they tend to be less flexible, are more alert and it is harder to get 'posed' shots. 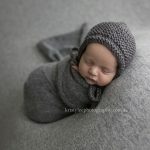 Each session Kristy likes to use a mix of both lifestyle and posed styled shots. 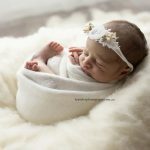 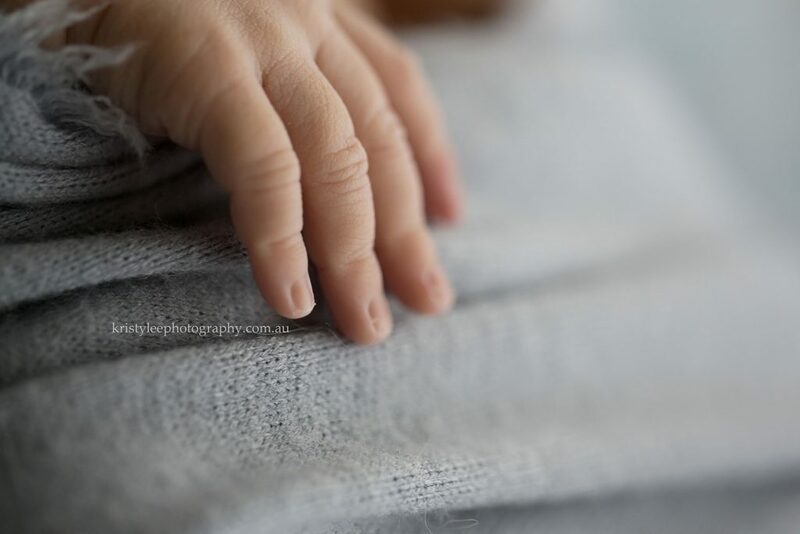 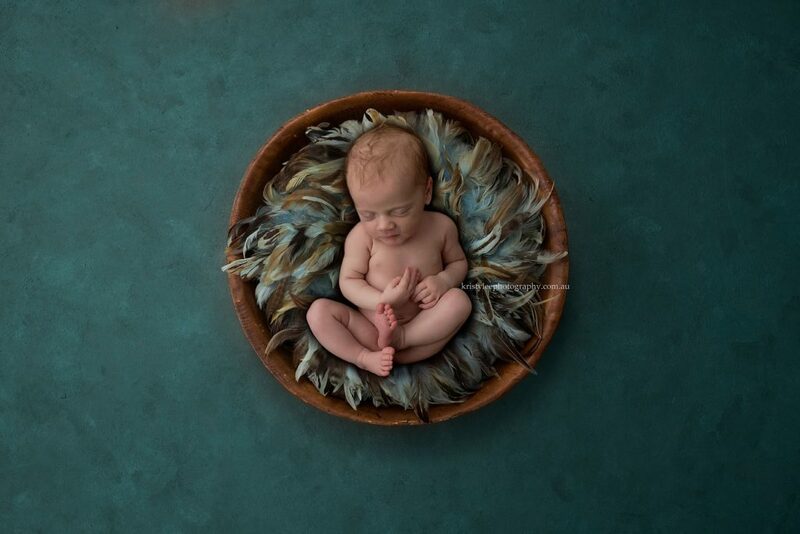 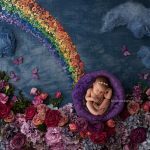 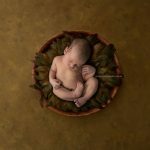 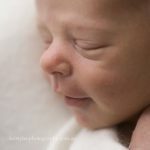 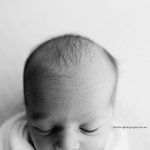 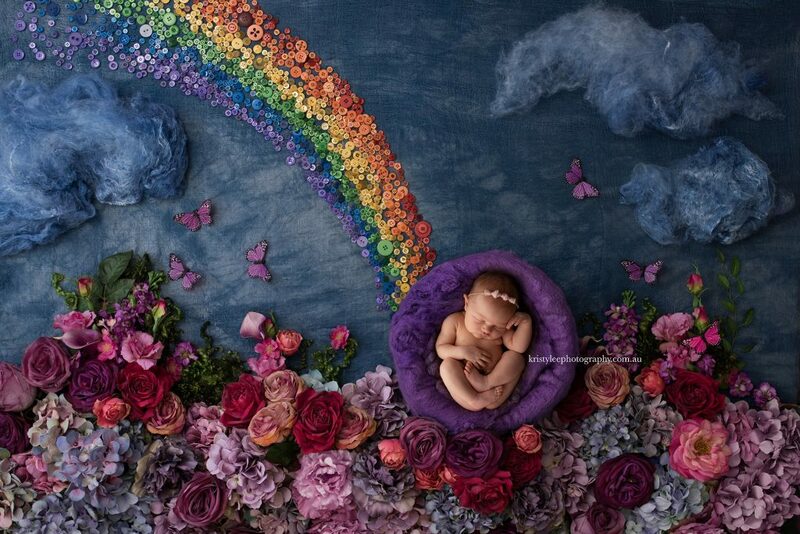 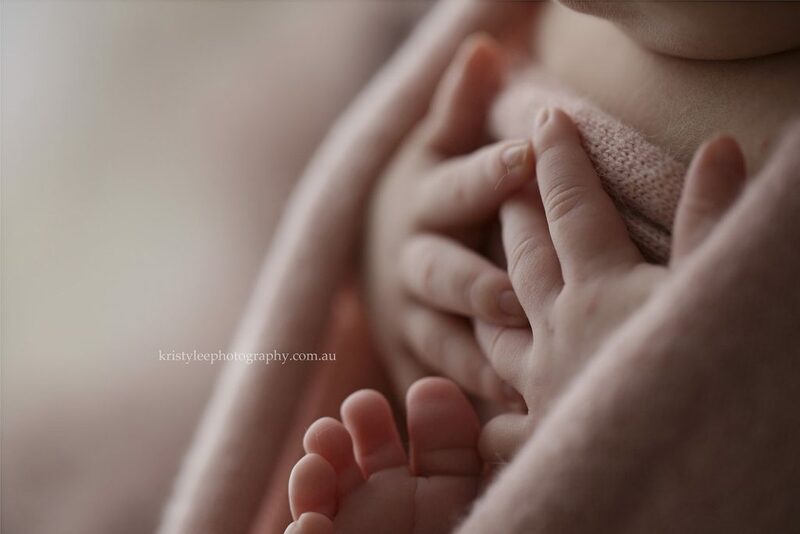 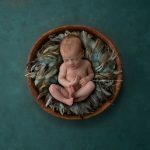 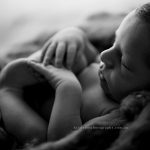 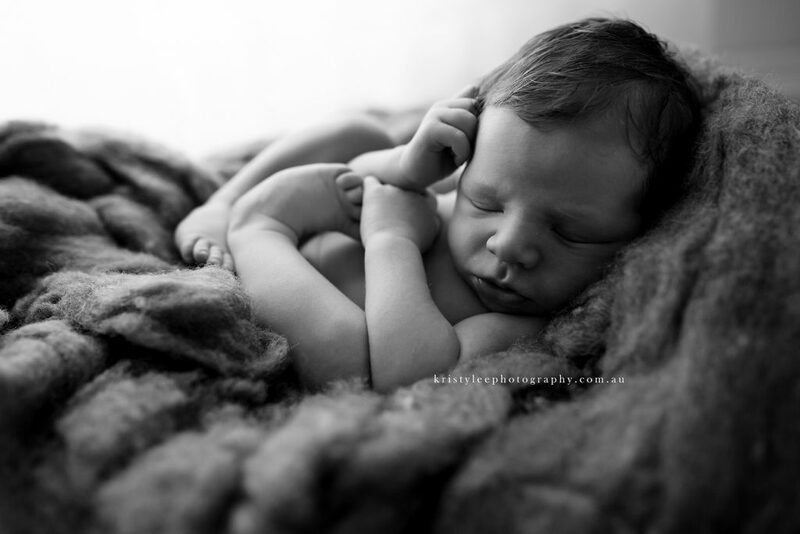 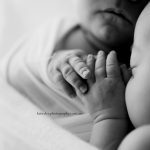 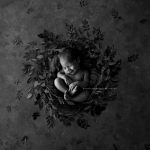 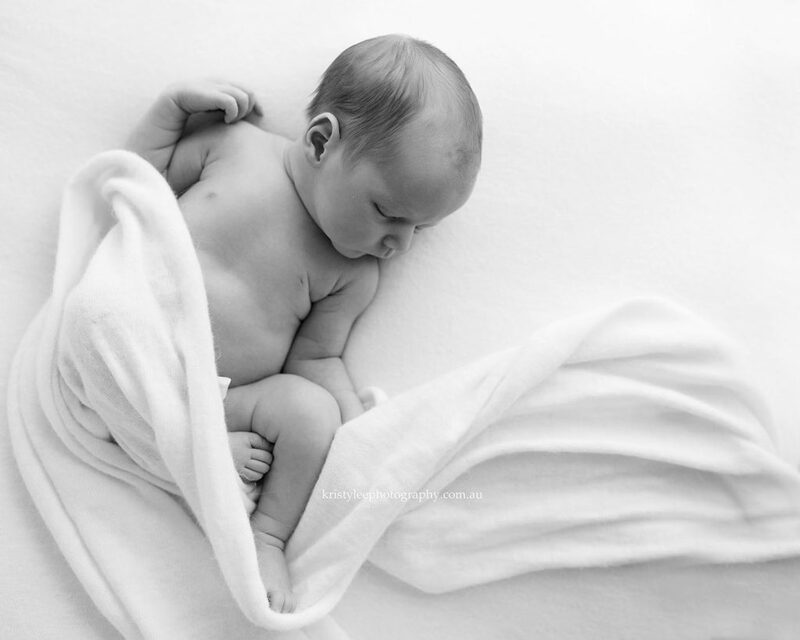 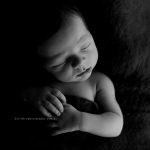 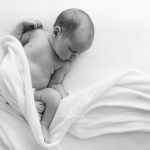 As Kristy is a natural light photographer, newborn sessions are always done in the morning. 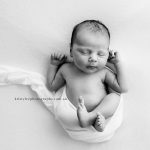 Sessions include the use of Kristy’s vast range of props she has collected over the years from both local and international sources and are available for selection for all of her clients. 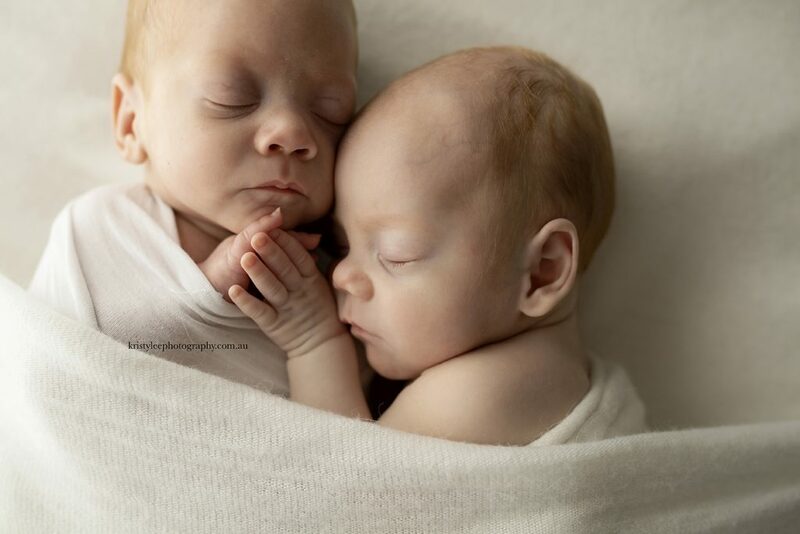 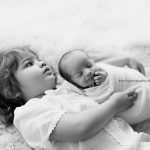 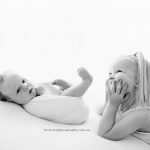 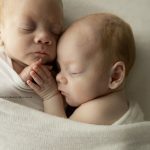 Each session can be expected to take approximately 2-3 hours and includes sibling and parent shots which are done at the beginning of each session. 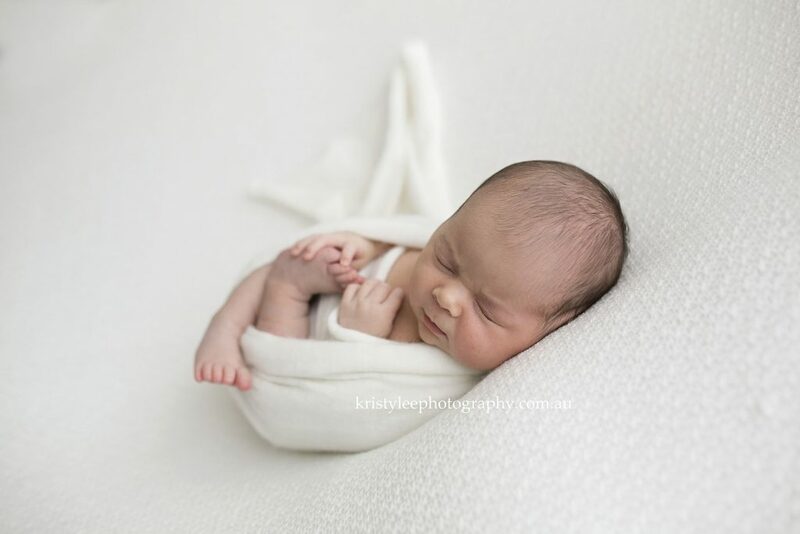 Kristy normally books out several months in advance, so it is best to book in your newborn session while you are still pregnant. 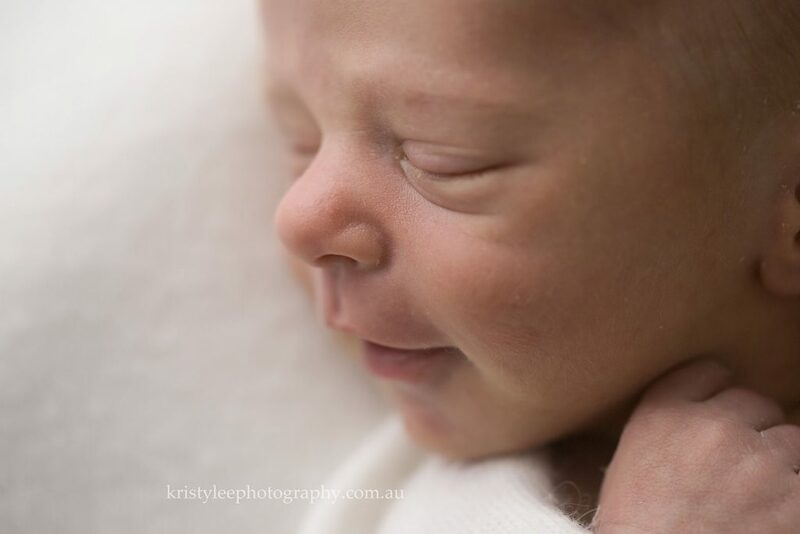 Your due date is pencilled in and as soon your baby arrives we book a date within that short timeframe. 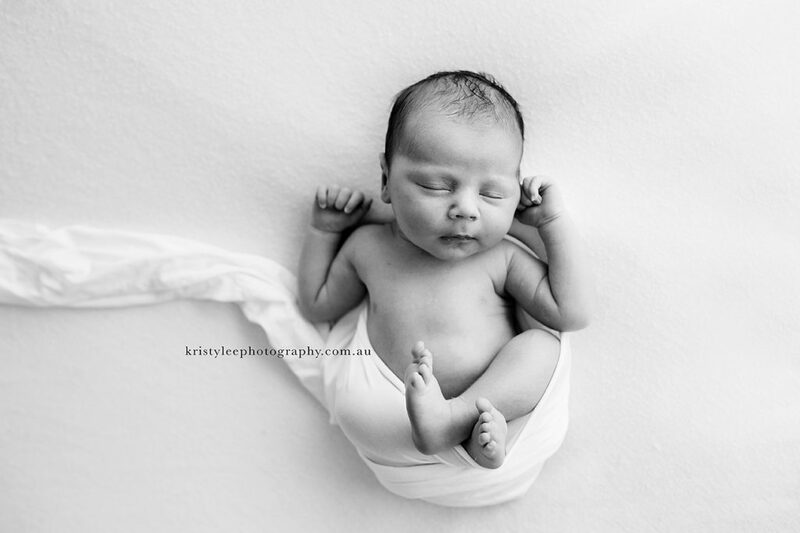 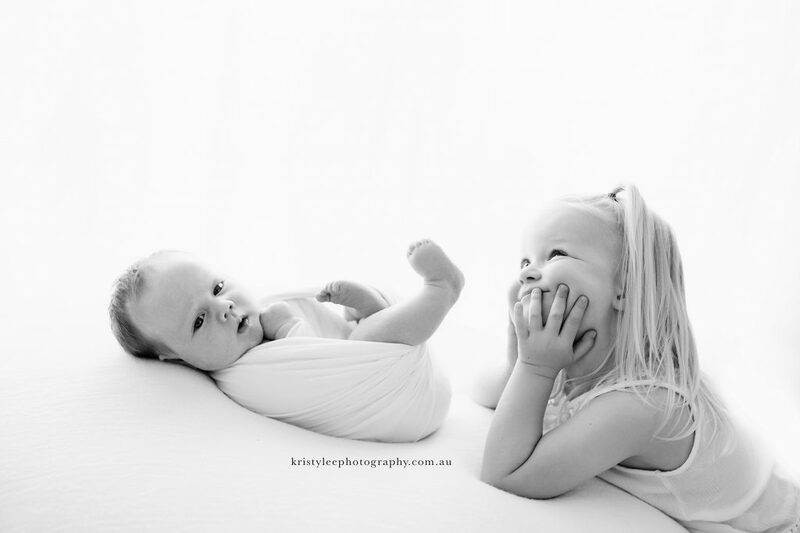 Kristy always tries to accommodate late bookings however she does limit her bookings of newborns each month. 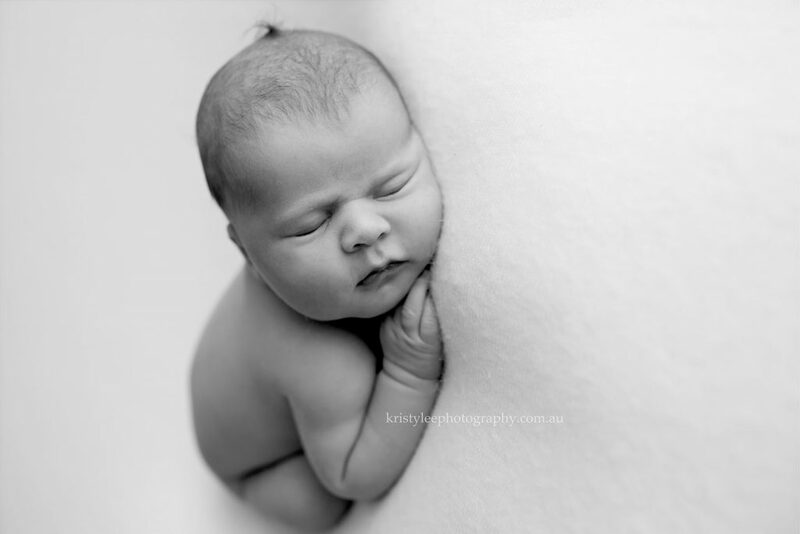 This is to ensure booked babies get a date in those first 2 weeks after birth. 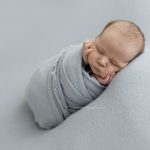 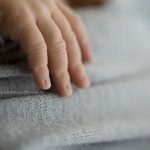 If you happen to stumble across this site after your baby is born, Kristy will do her best to try to fit you in within that timeframe however is not always possible. 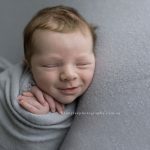 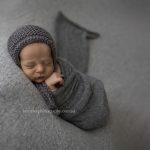 If you missed those first few weeks, we can still book in a session however as baby gets older the session will change slightly usually into more lifestyle and not those posed, curled shots. 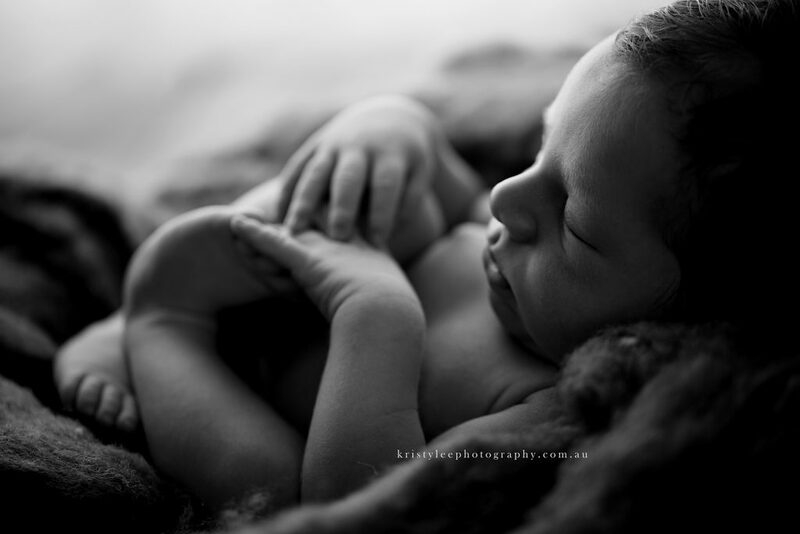 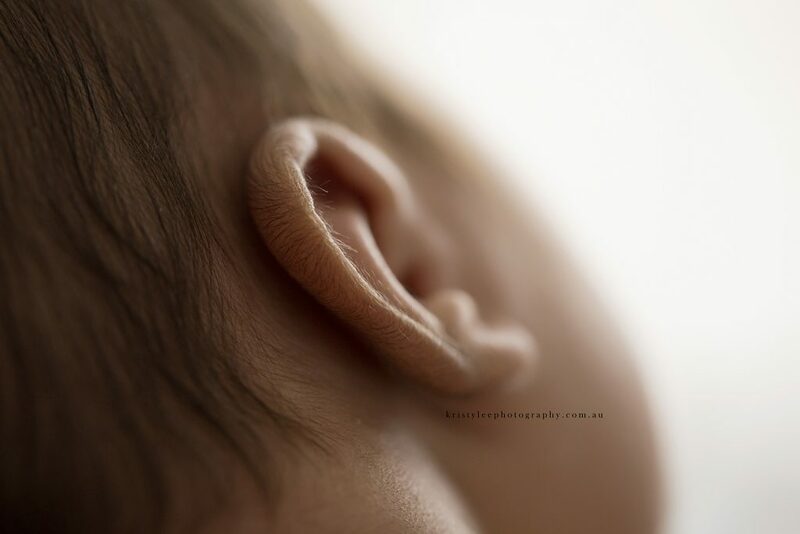 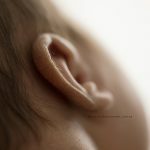 Older babies are always welcome and we create a session that is best suited for your baby and family. 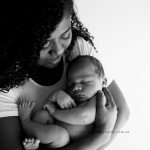 Please check sitter sessions in my blog for more information on a these sessions. 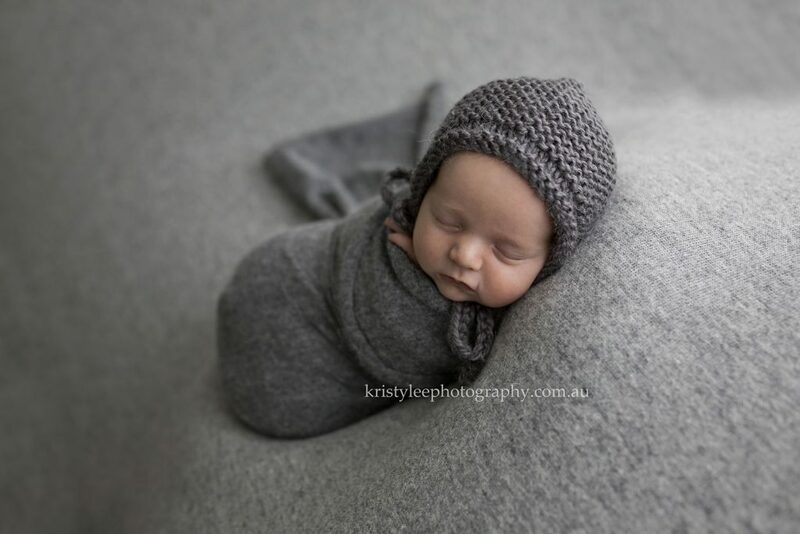 Please contact Kristy for more information on these.